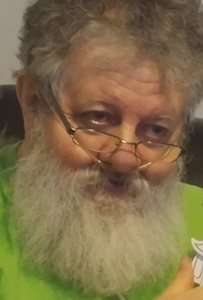 Schenectady- George A. Folmsbee, II, 71, passed away Monday, April 8, 2019 with his loving family by his side. George was the son of the late George and Elizabeth Folmsbee. George was the devoted husband to Kathleen Folmsbee. They were married 46 years. George enjoyed going to the Sunnyview Pool and Gym. He enjoyed spending time with his grandchildren. George was an avid reader and liked watching Jeopardy and old military and westerns. George was a parishioner of Our Lady of Mount Carmel Church, Schenectady. George is survived by his children, Jennifer (David) Marek, Eric (Donna) Folmsbee, Daniel (Heather) Folmsbee; multiple grandchildren and great grandchildren; his sisters, Ann (Lenny) Forgette and Margaret Bergeron (Pat); Francis Culligan, Arthur W.(Donna) Cole and Sally Jennings; and many loving relatives and friends. George is predeceased by his sister, Betty Jane Culligan. Calling hours will be held at New Comer Cremations & Funerals, 181 Troy Schenectady Rd., Watervliet, on Thursday, April 11, 2019 from 4:00 pm to 6:00 pm. A Mass of Christian Burial will be held at Our Lady of Mount Carmel Church, Pleasant St., Schenectady on Friday, April 12, 2019 at 10:00 am. Interment to be determined at a later date by the family. In lieu of flowers, donations may be made in George’s memory to the VFW, Schenectady Post, 718 Union St, Schenectady, NY 12305. Add your memories to the guest book of George Folmsbee. George was an awesome man big smile and a kind heart ?? he had a sweet personality and made many laugh! He will soo missed, I could go on as he loved his family and was so simple but fierce and his face light up every time he would talk about his grandchildren. I’ve known that hole beautiful family for Years ?????? Chuck and I are so sorry for your loss. I have many happy memories of summers spent with my cousins and Aunt Betty and Uncle George. I recall little Georgie as a sweet little boy. Will be thinking of all of you tomorrow.